A new day and a new fire laden pack released by adidas, this one labelled Pyro Storm. 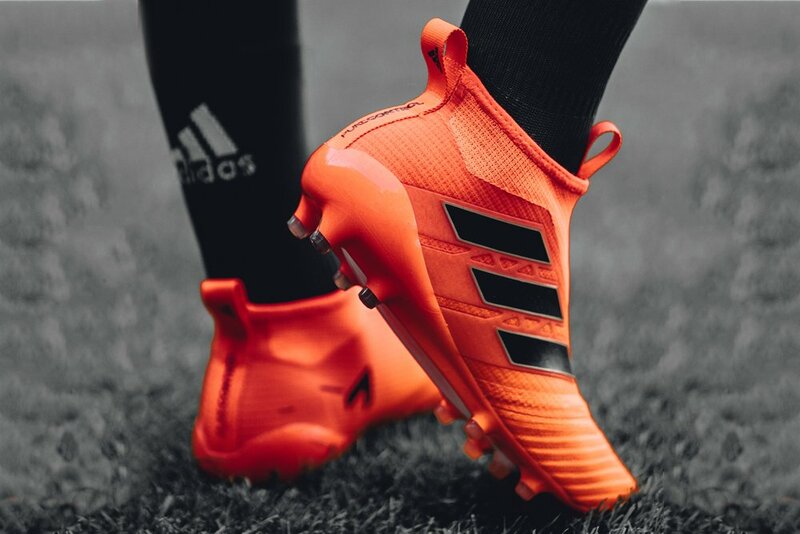 Each signature boot in the adidas line-up (X17+ PURESPEED, NEMEZIZ 17+ 360AGILITY and ACE 17+ PURECONTROL) all get the new treatment, draped in shades of Solar Red and Solar Orange. Out of the entire collection, it is the X17+ PURESPEED that is getting most attention. 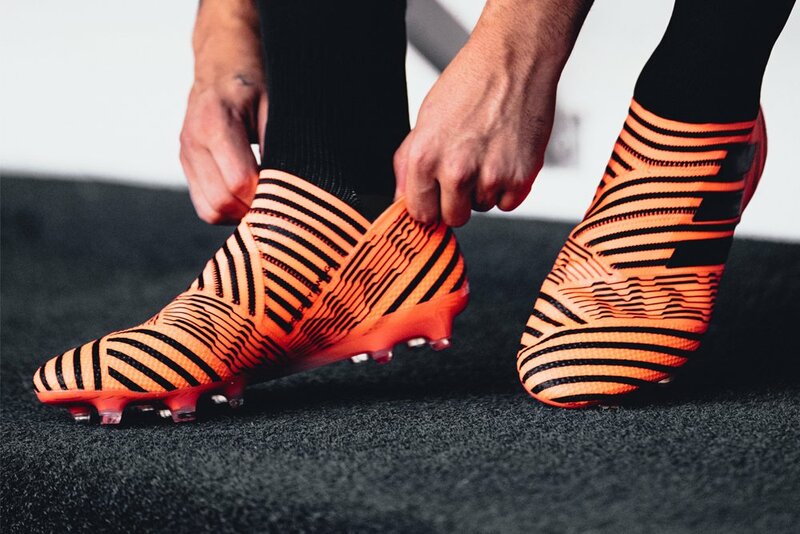 Featuring a striking two-tone orange and black colorway, they will be worn on the field by some of adidas’ brightest stars, including Gareth Bale, Luis Suárez and Gabriel Jesus. 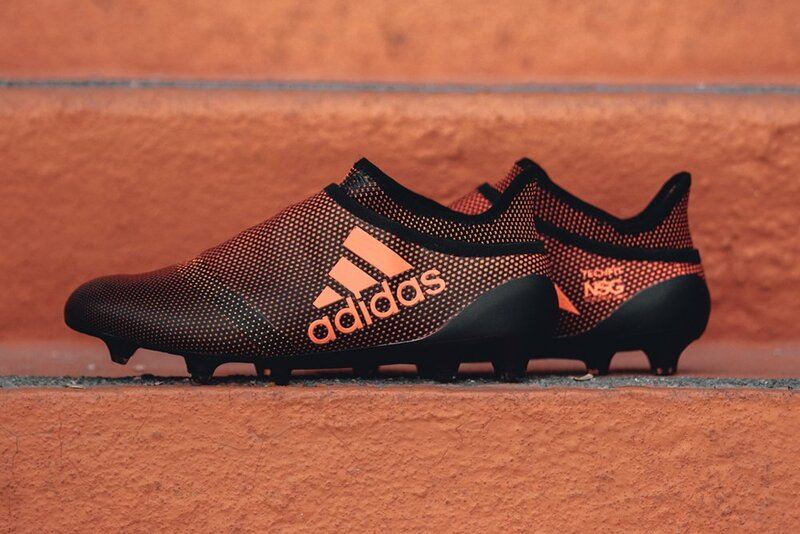 The upper is crafted using a NON STOP GRIP (NSG) finish, giving players unrivalled levels of control, while a PURECUT SOCK SYSTEM allows the laces to be hidden under an upper layer. Underfoot, a SPRINTFRAME outsole creates stability during high-speed changes of direction. Check out the entire collection at soccer.com.